The Black Sheep Dances: The 2010 Aussie Author Challenge, start here! 2 challenge levels - TOURIST and FAIR DINKUM! 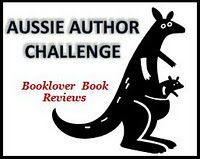 Go to http://bookloverbookreviews.blogspot.com/2009/12/im-hosting-aussie-author-challenge-sign.html for complete rules and sign up page. 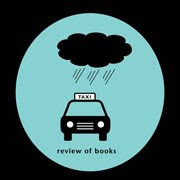 There are also some great links to Aussie authors. I have been meaning to read MY life as a Fake for so long, maybe I should finally get to it. And the Winton titles sound interesting, I have not read those, must look them up. Wait! You haven't read Tim Winton? Isn't that part of Australian rules for existence? I'd love to know what you think of them. Cloudstreet is superior, but The Riders really has a fascinating story line...a husband goes to Ireland to set up house for his wife and daughter who are coming from Australia. The child (about 9) arrives alone on the plane. The rest is the story. Hard to put down. The whole premise was just wild. Let me know what you think! I highly recommend Autumn Castle by Kim Wilkins or any of her other books if you can get your hands on them. Autumn Castle is just my favorite. Thank you for joining me in this Aussie Author Challenge Amy - you have some great authors on your list - look forward to sharing reviews!